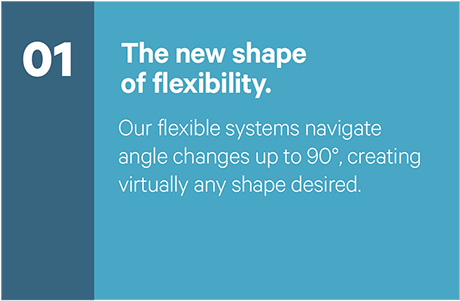 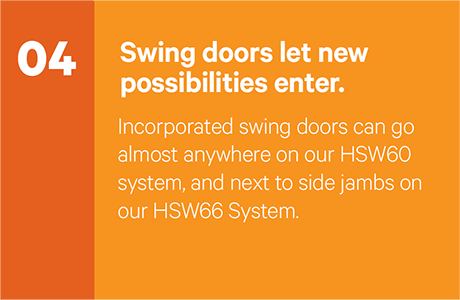 Our HSW systems open up new possibilities. 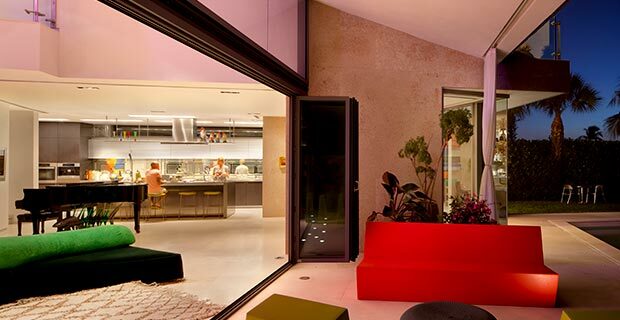 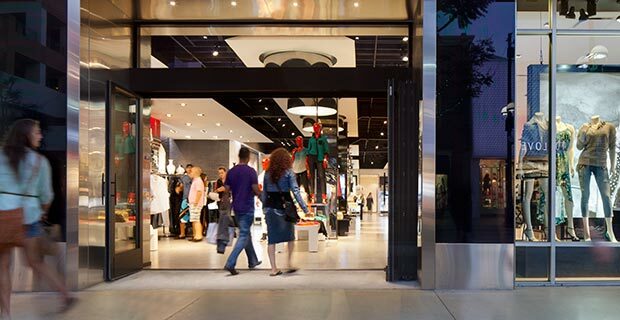 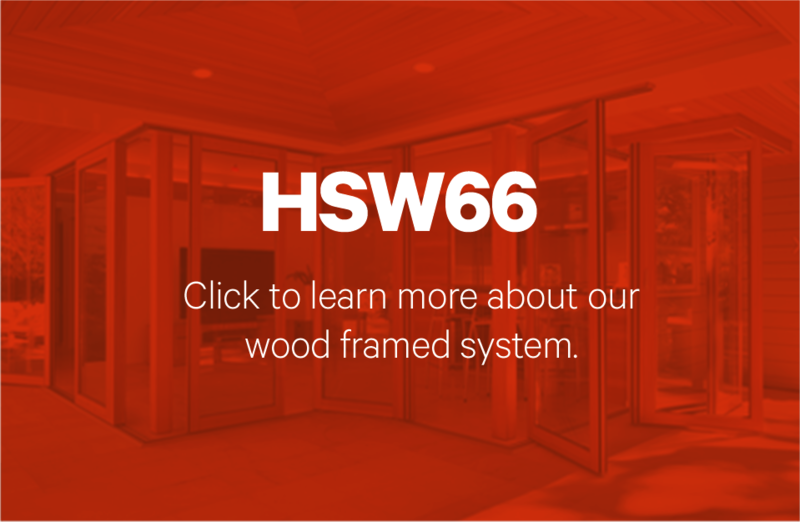 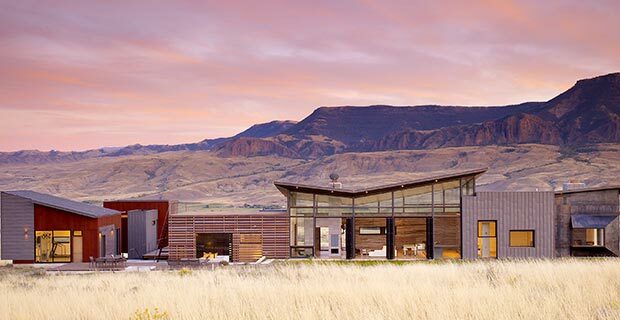 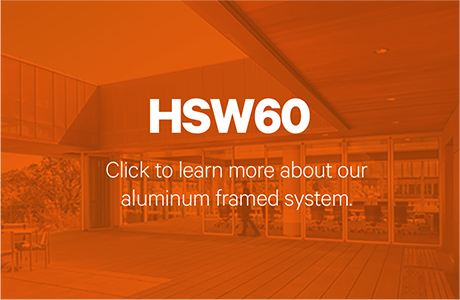 Our HSW systems are single track sliding glass walls that offer transformative design flexibility. 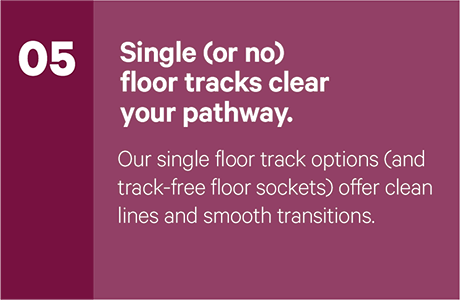 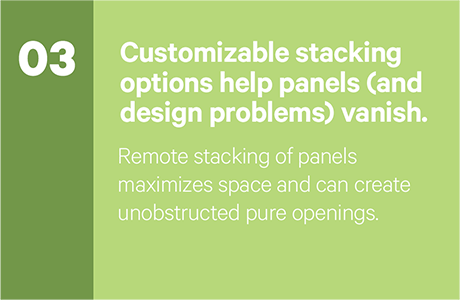 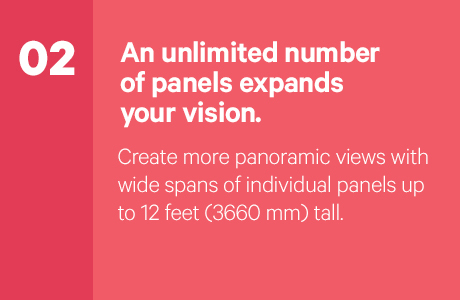 Unlimited spans of individual, top-hung panels ride within a single head track over a single floor track (or no floor track at all), freeing you to get more out of your space—and your creative opportunities. 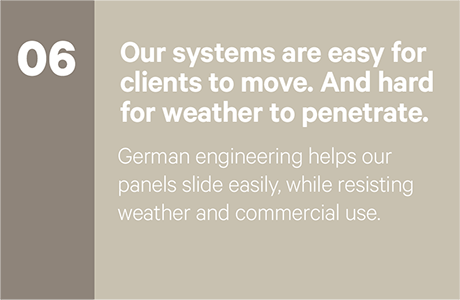 We’re not just manufacturers. 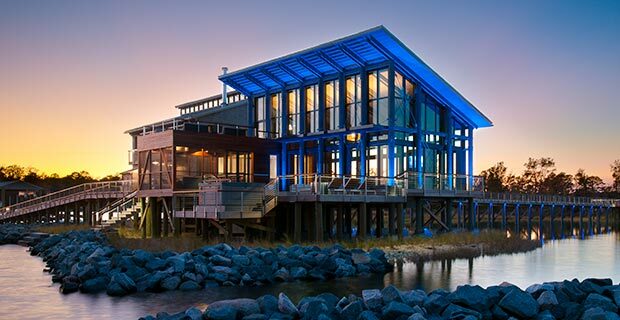 We’re partners who can support you from early Design Development to Construction Development and beyond—turning your design ideas into 3D representations, and your visions into finished products.